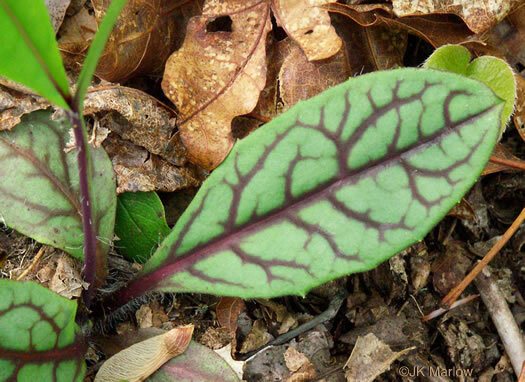 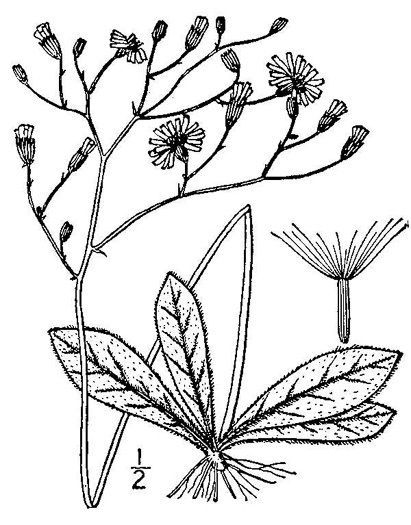 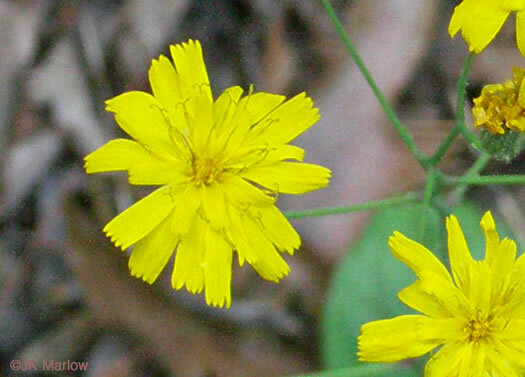 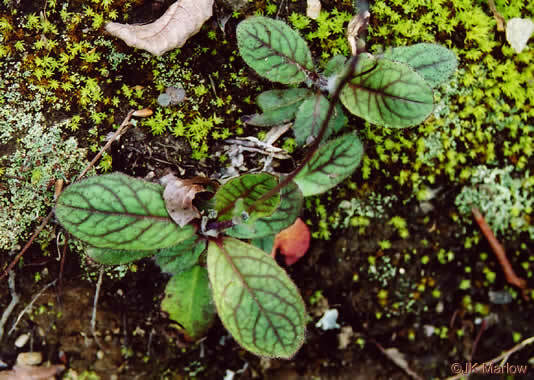 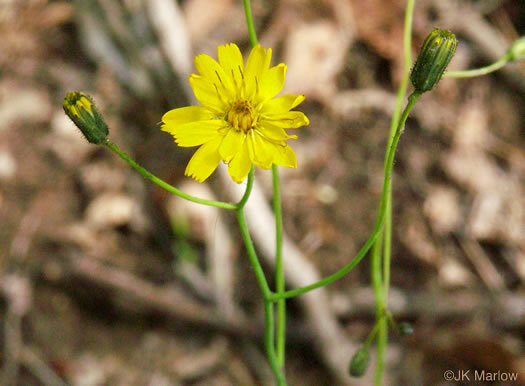 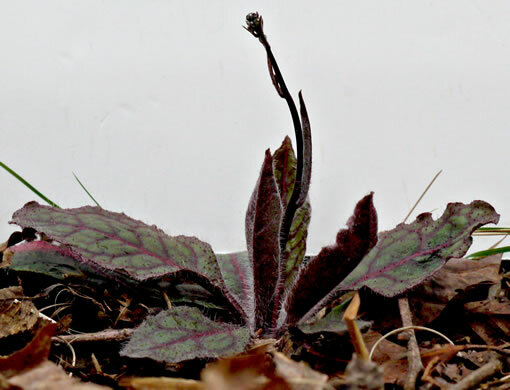 Basal rosette of leaves with prominent, usually purple, veins, per Wildflowers of the Southern Mountains. 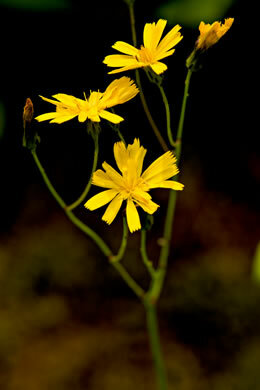 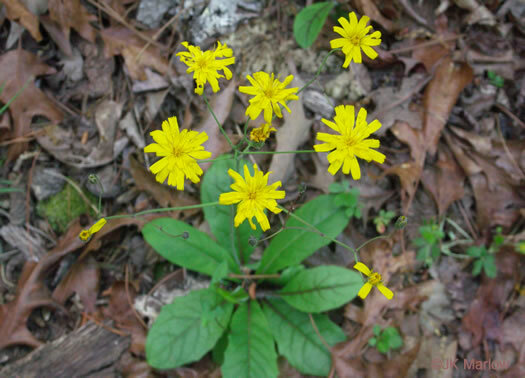 Inflorescence a diverse, many-headed, flat-topped corymb, per Vascular Flora of the Carolinas. 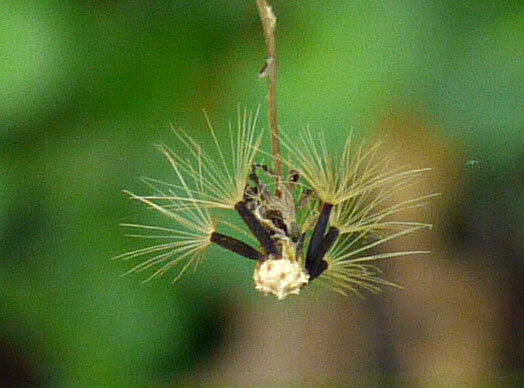 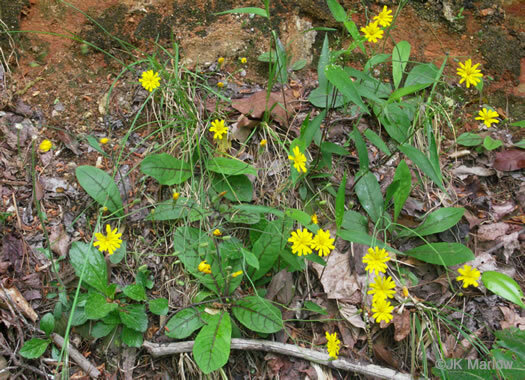 Peduncles usually stipitate-glandular. 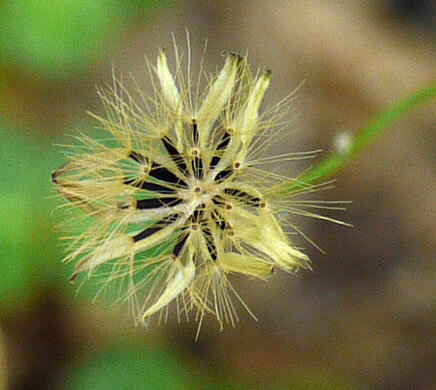 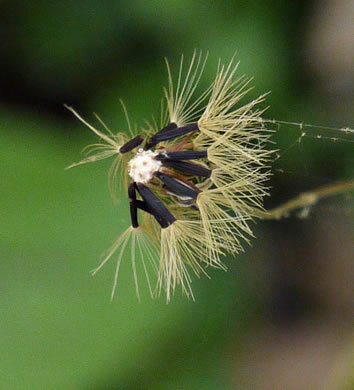 Bracts acute, about 1mm wide, per Vascular Flora of the Carolinas. 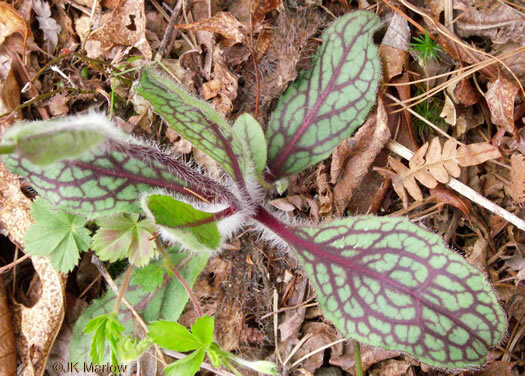 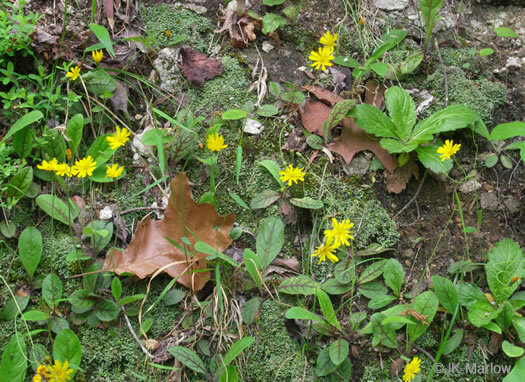 Leaves conspicuously purple-veined, mostly smooth or with hairy margins, per Wildflowers of Tennessee, the Ohio Valley, and the Southern Appalachians.